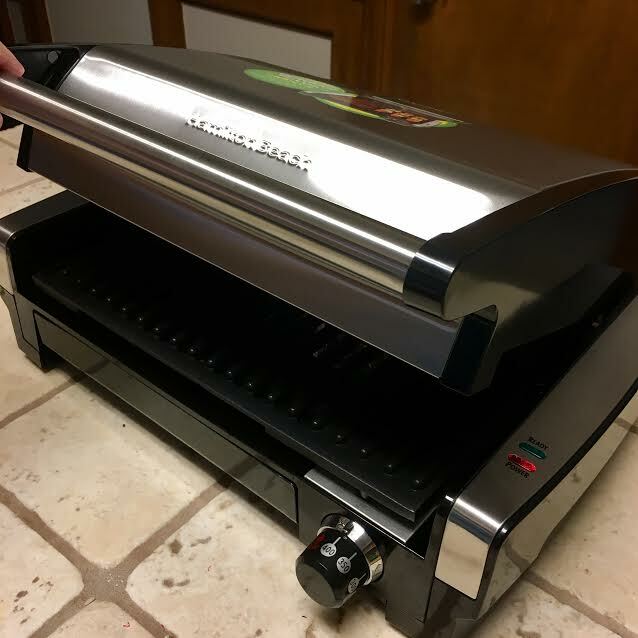 Once again the awesome people over at Hamilton Beach reached out to me and wanted to send me this bright and shiny Indoor Searing Grill! Hamilton Beach sent me this in exchange for my honest opinions. All opinions in this post are my own, I was not compensated in any other way for this post. When I first opened the box I had to admit I was a little surprised at the simplicity! There aren't many parts to this grill which made it super simple to put together. All I had to do was get the drip pan, grill top, and lid in the correct place and plug it in! This grill heats up incredibly quickly which is a huge plus in my book! Just turn the knob to the desired temperature, make sure the lid is closed and wait until the green light comes on. Easy-Peasy! I think my favorite feature is the fact that most of the parts are dishwasher safe. That always makes cleanup super simple, especially with drippings from juicy burgers. 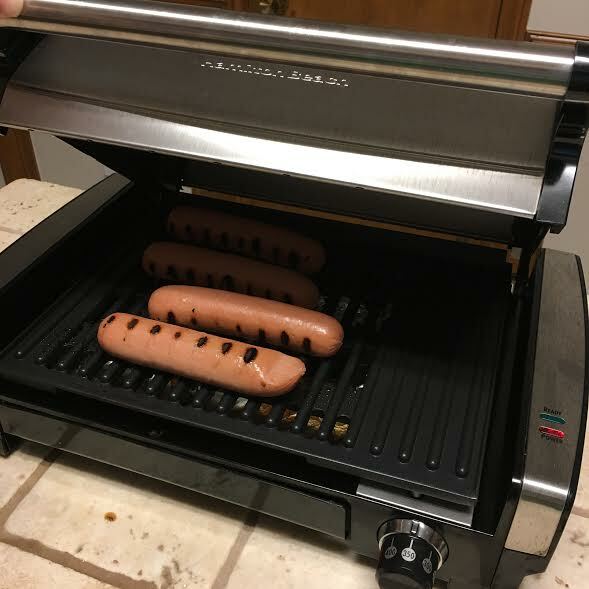 If you can't wait to get your hands on your own grill then head over to Walmart.com to get one! Mix beef, seasoning and egg in a bowl. Allow to sit in the fridge for 15-20 minutes. Form into equal sized patties and heat Indoor Searing Grill to Sear setting. 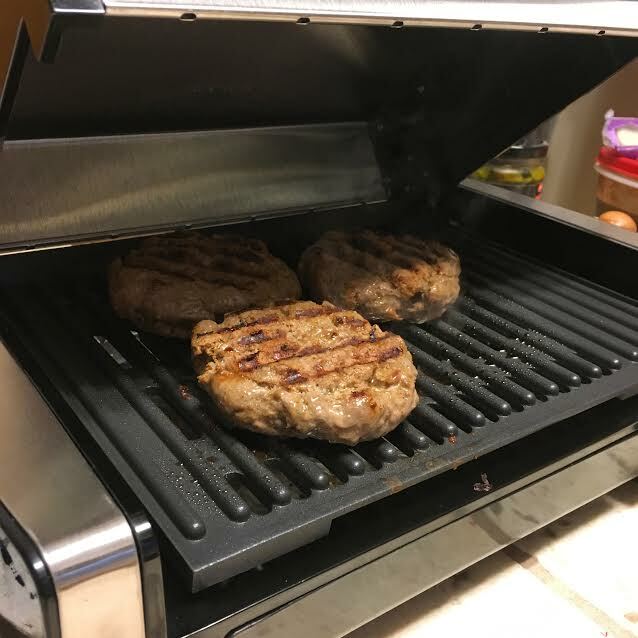 Cook burgers for 4-5 minutes on each side. Serve with your favorite burger toppings!